are the work and property of Sharon Pisacreta. Those of us who spend time along the shores of Lake Michigan know there is such a thing as a ‘lake effect’. Whether heading south from Saugatuck-Douglas down the coast to Chicago, or turning north from Holland to Muskegon and points beyond, the lake is never far away. Even on the most hectic day, it is possible to tap into the sense of well-being and tranquility that seems to surround the vast clear lake that the Ojibwa called mishigami, or ‘great water’. In 2014 Saugatuck ranked No. 1 in the USA Today online poll for America's Best Summer Weekend Escape. Saugatuck wins another Blue Ribbon in 2015 as Best Coastal Small Town in America. A field of ten communities was nominated by professional travel writers and worldwide online voting ranked the lakeside town at the top of the list. 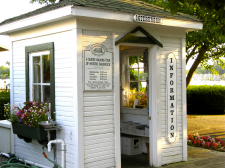 With its great Oval Beach, Activities, Art Galleries, Shopping, Food and Lodging, Saugatuck has a lot to offer. 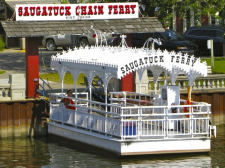 Make sure to check out all things Saugatuck related in the Lake Effect Living guide. There's always something fun to do along the Lake Michigan shoreline, even on a rainy day. Museums, beaches, tours, lighthouses, theaters, nature centers and even a few World War II ships make up our list. We've arranged it geographically in order of the towns from south to north along the lake, so make sure to take a look at what's available just up the road. Antiques appeal to collectors for various reasons. Some like the thrill of hunting down a rare item to fill out a specific collection. Others revel in the sense of history that handling an antique can give them. Many just enjoy the styles of a bygone era. 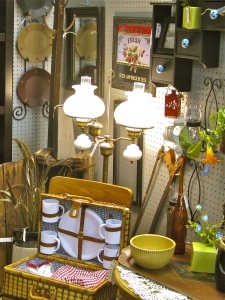 Whatever your reason for loving antiques, use our listing of shops near the lakeshore to plan your next antiquing day. We've arranged the listing from south to north along the lake to make it easier to see what possibilities are just down the road in the next town. You'll never know what perfect item you may find, until you go and take a look. Feed your aesthetic sense with a visit to one of the art galleries in the Lake Effect Guide. It's always a great time of year to enjoy a fine wine from one of west Michigan's great wineries. 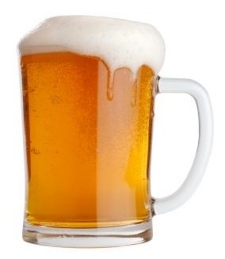 Old English proverb - Bread is the staff of life, but beer's life itself. Michigan is fifth in the nation for its number of breweries. The great quality of water and rich soil produces some of the best beer making ingredients. Our listing of brewpubs, microbreweries and breweries along the shoreline will help you plan your next hearty draft of life itself. December days are short, but they begin to grow longer in January. Be on the beach at the right time to catch a beautiful southwest Michigan sunset. Like snowflakes, no two are alike. Use our Beaches and Sunset Times pages to make sure you don't miss out. 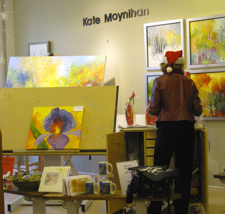 Don't forget to check out the Calendar of Events for December and January. There's always something happening on the lakeshore.